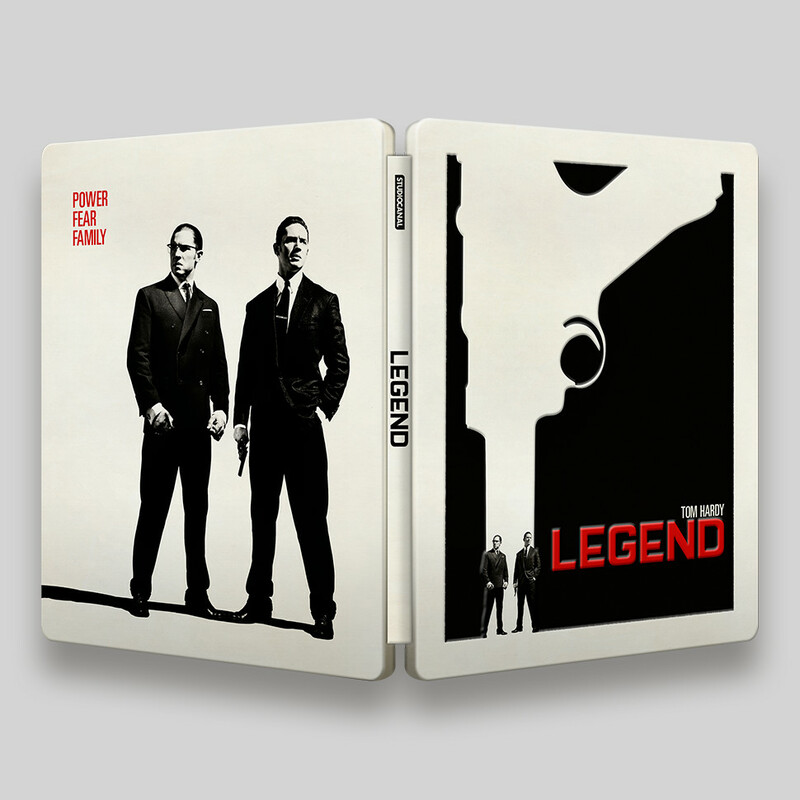 The artwork for the Legend Steelbook followed on from the Legend Blu-ray and DVD artwork, but uses the artwork from some early teaser posters. To set it apart from the other formats this artwork used a slightly different colour palette and graphic content. The Steelbook uses the emboss area to frame the graphic treatment. Steelbook designs can’t emboss on it’s own as a print book or O-ring sleeve can be, there’s always has to be a debossed area before an area can be embossed.